Yay! welcome to littlepoppits a crazy mix of a whole bunch of stuff! join in the fun on facebook, twitter and now our new Misi shop! This entry was posted in blogging, crafting, crochet, motherhood and tagged crochet, Misi, motherhood, on-line shop. Bookmark the permalink. This entry was posted in crafting, crochet, Gift ideas, granny-chic, hooked on crochet and tagged crochet, gift ideas, granny squares, granny-chic. Bookmark the permalink. This entry was posted in Diary of a haggard mother, kids, magic moments, motherhood, parenting and tagged kids, magic moments, motherhood, parenting. Bookmark the permalink. This entry was posted in charity shops, crafting, granny-chic, retro, vintage finds and tagged charity shop, charity shops, crochet, granny-chic, home, retro, vintage. Bookmark the permalink. This entry was posted in crafting, crochet, hobbies and tagged crafting, crochet, daisy chain, gift ideas, hobbies, nature. Bookmark the permalink. This entry was posted in blogging, crochet, motherhood, parenting, running and tagged blogging, crochet, home, kids, motherhood, parenting, running. Bookmark the permalink. This entry was posted in hooked on crochet, keeping chickens, kids, motherhood, parenting and tagged Chickens, half marathon, kids, memories, motherhood, parenting. Bookmark the permalink. This entry was posted in kids, magic moments, motherhood, parenting and tagged kids, magic moments, motherhood, parenting. Bookmark the permalink. This entry was posted in crochet, giveaway and tagged crochet, giveaway, granny squares, rowan yarn. Bookmark the permalink. 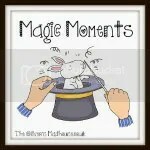 This entry was posted in kids, magic moments, motherhood, parenting and tagged kids, majic moments, motherhood, parenting. Bookmark the permalink. This entry was posted in motherhood, running and tagged half marathon, motherhood, running. Bookmark the permalink. 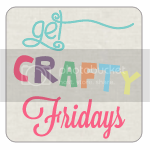 This entry was posted in crochet, Gift ideas and tagged crochet, gift ideas, granny squares. Bookmark the permalink. This entry was posted in kids, motherhood, running and tagged half marathon, kids, motherhood, running. Bookmark the permalink. This entry was posted in Diary of a haggard mother, kids, motherhood, parenting and tagged kids, motherhood, parenting. Bookmark the permalink. This entry was posted in crochet, Gift ideas, granny-chic, hooked on crochet, retro, vintage and tagged crochet, gift ideas, granny squares, granny-chic, iPhone cover, retro, vintage. Bookmark the permalink. This entry was posted in kids, motherhood, parenting, running and tagged kids, motherhood, parenting, running. Bookmark the permalink. This entry was posted in crochet, hooked on crochet and tagged crochet, granny squares. Bookmark the permalink. This entry was posted in kids, motherhood, parenting and tagged bullies, bullying, kids, motherhood, parenting. Bookmark the permalink. This entry was posted in fun ideas, half term, kids, motherhood and tagged chcihester harbour, fun, half term, kids, motherhood, nature, saltern copse. Bookmark the permalink. 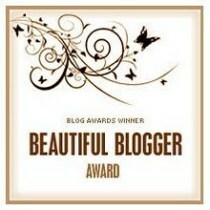 This entry was posted in award time, motherhood, nominations and tagged awards, motherhood, nominations. Bookmark the permalink. This entry was posted in Diary of a haggard mother, kids, motherhood, parenting, valantines and tagged home, kids, motherhood, parenting, valantine. Bookmark the permalink. This entry was posted in crochet, tea cosy, time for you, valentines and tagged crochet, crochet hearts, cute idea, granny squares, heart patterns, valentines. Bookmark the permalink. This entry was posted in old boats, vintage and tagged home, model yachts, old boats, vintage. Bookmark the permalink. This entry was posted in award time and tagged awards. Bookmark the permalink. This entry was posted in bantam hens, Down with the Chooks!, keeping chickens and tagged bantam hens, Chickens, chooks, Pekin Bantam. Bookmark the permalink. This entry was posted in bantam hens, Down with the Chooks!, keeping chickens and tagged bantam hens, Chickens, chooks, nature, Pekin Bantam, photography. Bookmark the permalink. This entry was posted in bantam hens, keeping chickens, kids, motherhood and tagged arts, bantam hens, Chickens, kids, motherhood. Bookmark the permalink. This entry was posted in crochet doilys, fabric wrapping, granny-chic, vintage and tagged crochet doilys, dottie angel, granny-chic, home, old-fashioned, vintage. Bookmark the permalink. This entry was posted in Christmas makes, fun ideas, kids, motherhood, parenting and tagged cute idea, freinds and neighbours, grandparents, kids, motherhood, parenting. Bookmark the permalink. This entry was posted in Christmas makes, fun ideas and tagged christmas, christmas cookie cutters, dessert, gingerbread, kids. Bookmark the permalink. This entry was posted in Christmas makes, fun ideas, kids, motherhood, parenting and tagged doilie, kids, motherhood, paper dolly chain. Bookmark the permalink. This entry was posted in fabric wrapping, fun ideas, granny-chic, retro, vintage finds and tagged charity shop, charity shops, granny-chic, retro, sewing box, vintage. Bookmark the permalink. This entry was posted in award time and tagged super sweet award. Bookmark the permalink. This entry was posted in bantam hens, Down with the Chooks!, keeping chickens and tagged bantam hens, Chickens, chooks, nature, Pekin Bantam, weather, winter. Bookmark the permalink. 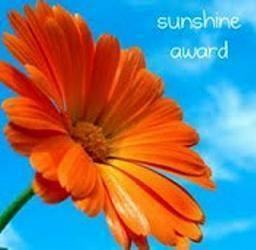 This entry was posted in award time, just for fun, nominations and tagged award time, awards, fun, nominations, sunshine award. Bookmark the permalink. This entry was posted in fabric wrapping, fantastic makes, Gift ideas, granny-chic, retro, time for you, vintage and tagged fabric wrapping, gift ideas, granny-chic, retro, vintage, wallpaper paste. Bookmark the permalink. This entry was posted in fun ideas, just for fun, party, wishes and tagged freinds and neighbours, just for fun, party, wishes. Bookmark the permalink. This entry was posted in charity shops, granny-chic, vintage, vintage finds, vintage thrift and tagged charity shops, granny-chic, old-fashioned, retro, style, vintage. Bookmark the permalink. This entry was posted in Diary of a haggard mother, kids, motherhood, parenting and tagged home, kids, motherhood, parenting. Bookmark the permalink. This entry was posted in egg recipes, old fashioned recipes, retro, yummy makes and tagged egg recipes, egg yolks, eggs, grated nutmeg, keeping chickens, old-fashioned, retro. Bookmark the permalink. This entry was posted in Diary of a haggard mother, motherhood, parenting and tagged gaming, green eyed monster, kids, motherhood, parenting. Bookmark the permalink. This entry was posted in charity shops, Down with the Chooks!, fun ideas, retro, vintage, vintage finds, vintage thrift and tagged arts, charity shops, Chickens, retro, vintage. Bookmark the permalink. This entry was posted in cakes, egg recipes, old fashioned recipes, retro cakes, yummy makes and tagged cakes, dessert, eggs, electric hand whisk, food, lemon curd, lemon meringue, old fashioned recipes, retro cakes. Bookmark the permalink. This entry was posted in Gift ideas, granny-chic, hooked on crochet, how to make pom poms, retro, tea cosy, time for you, vintage and tagged chain stitches, crochet, gift ideas, granny-chic, old-fashioned, pom poms, retro, tea cosy, vintage. Bookmark the permalink. This entry was posted in Diary of a haggard mother and tagged getting old, kids, motherhood, parenting, shopping. Bookmark the permalink. This entry was posted in egg recipes, rainy days, yummy makes and tagged easy peasy, eggs, food, hard boiled eggs, old-fashioned, pickled eggs, tight fitting lid, vegetarian. Bookmark the permalink. This entry was posted in Diary of a haggard mother, Uncategorized and tagged diamond earings, kids, little salesman, motherhood, parenting, tooth fairy. Bookmark the permalink. This entry was posted in fantastic makes, fun ideas, rainy days, yummy makes and tagged cookies, dessert, eggs, food, meringue cookies. Bookmark the permalink.